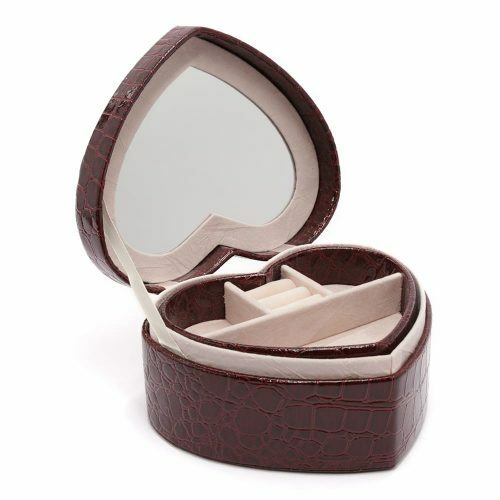 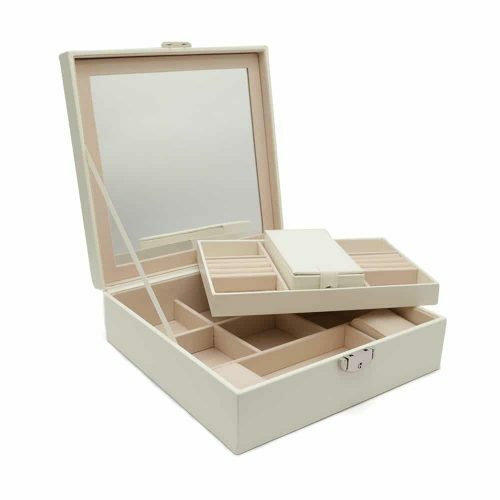 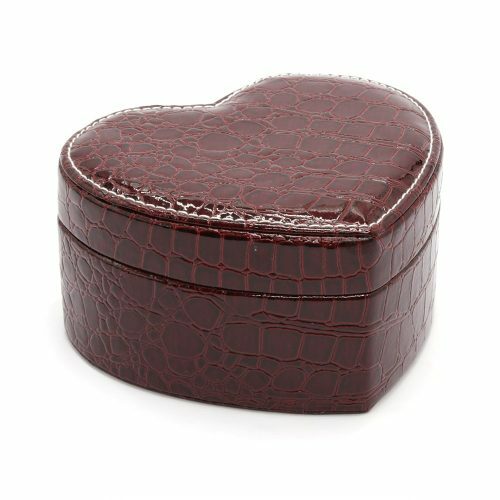 This Copper Glass Jewellery Box is a stunning and modern way to store your jewellery. 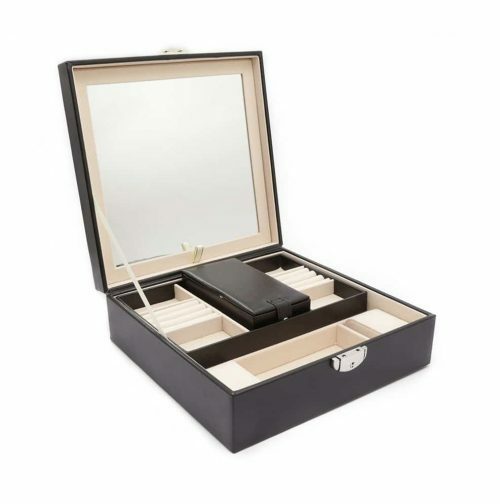 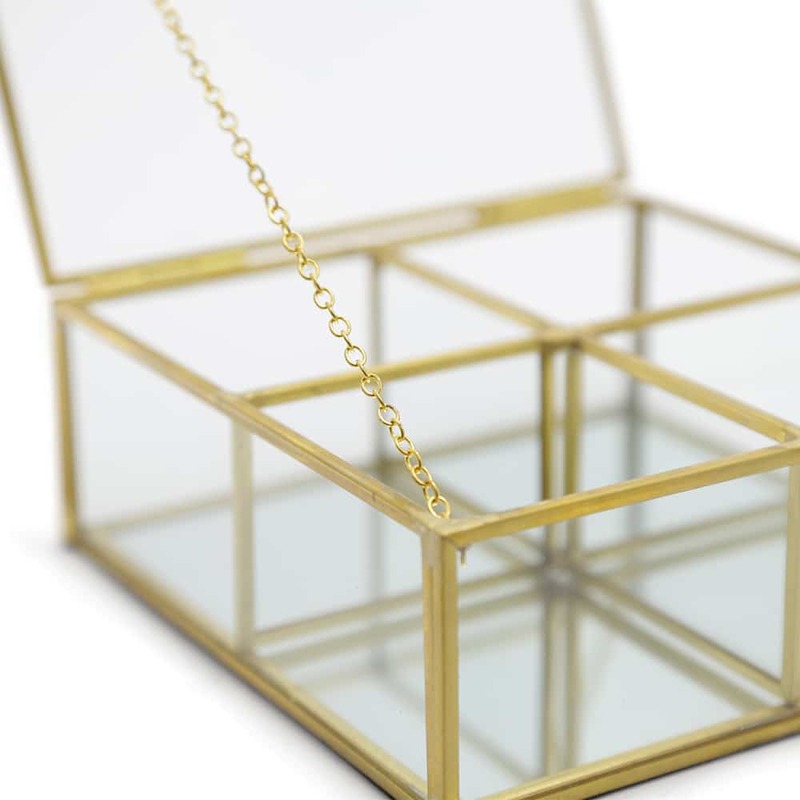 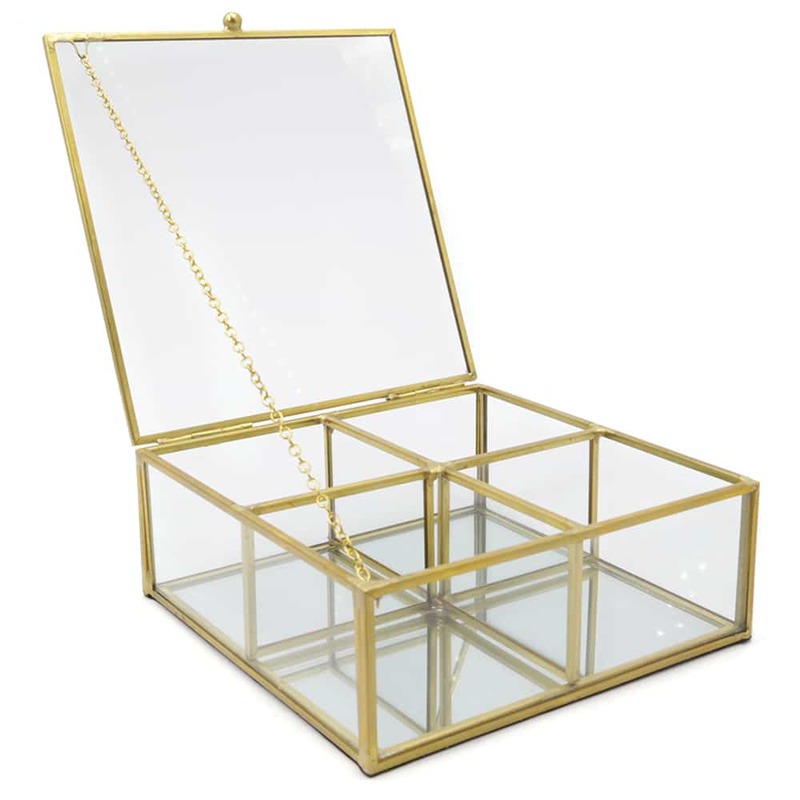 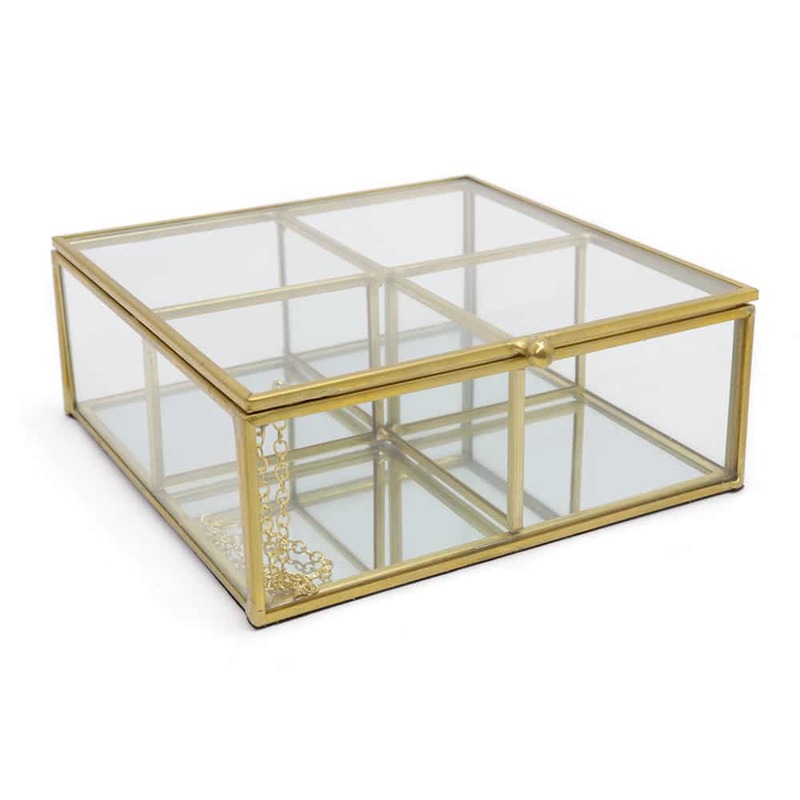 This box is made with strong durable glass and copper materials. 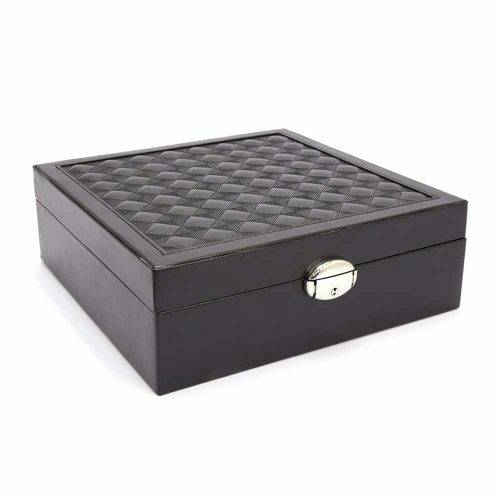 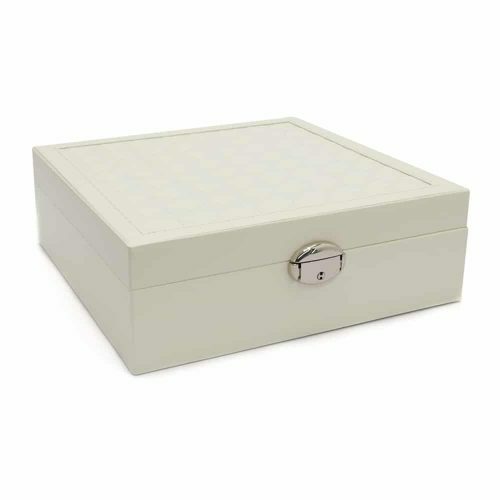 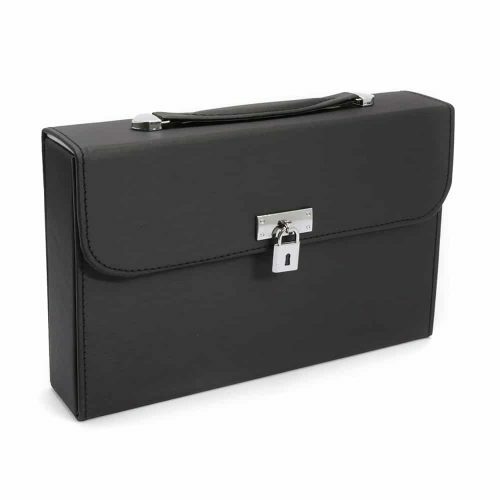 This large square box is separated into 4 compartments. 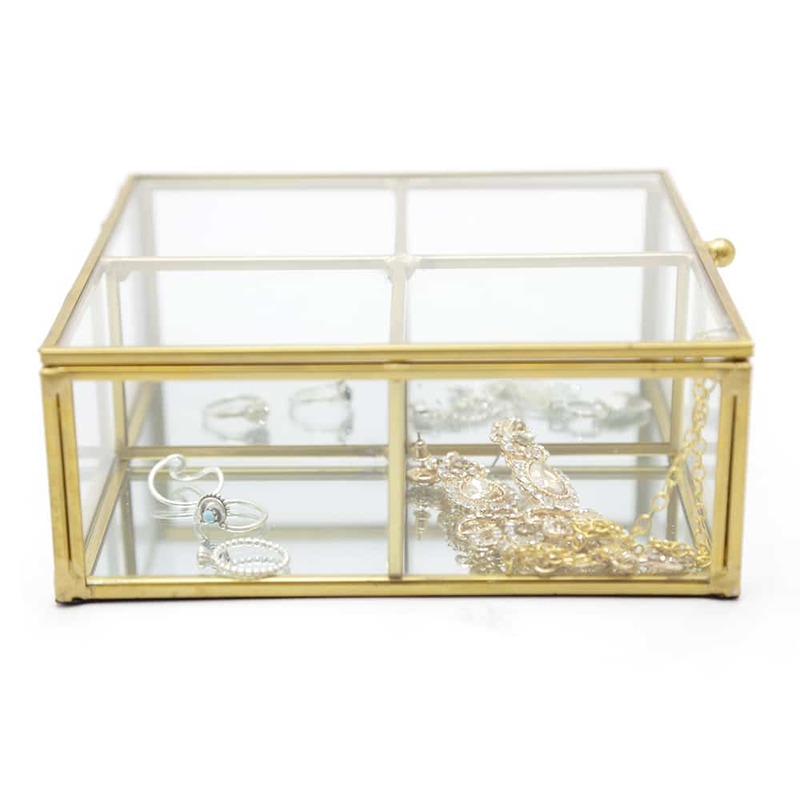 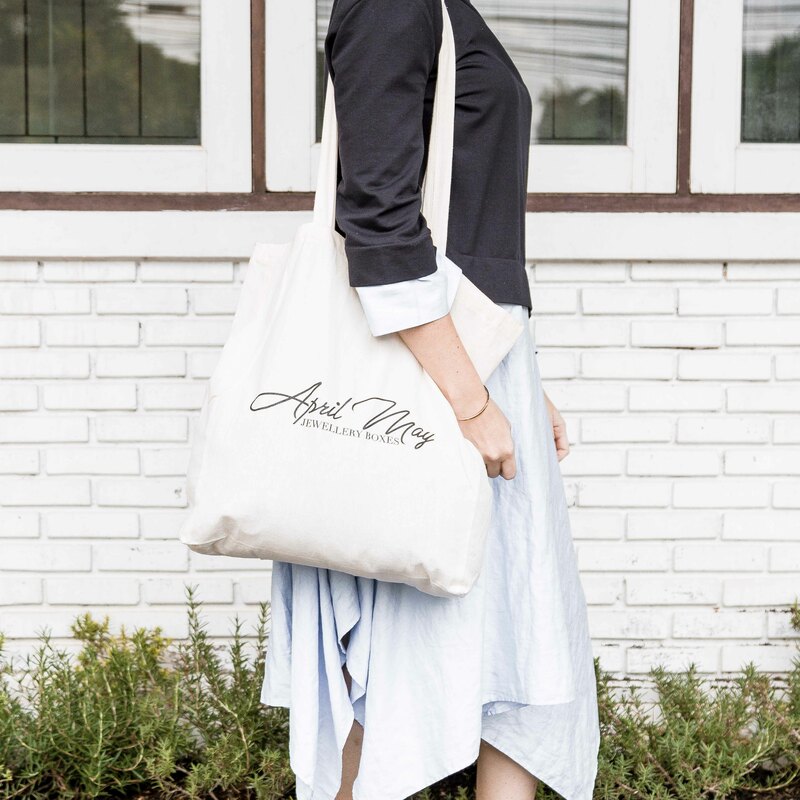 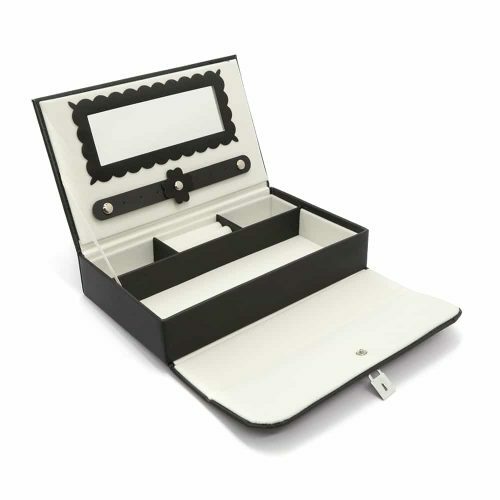 This helps you store your rings, bracelets, earrings, necklaces or other valuables in a mess free and tangle free way. 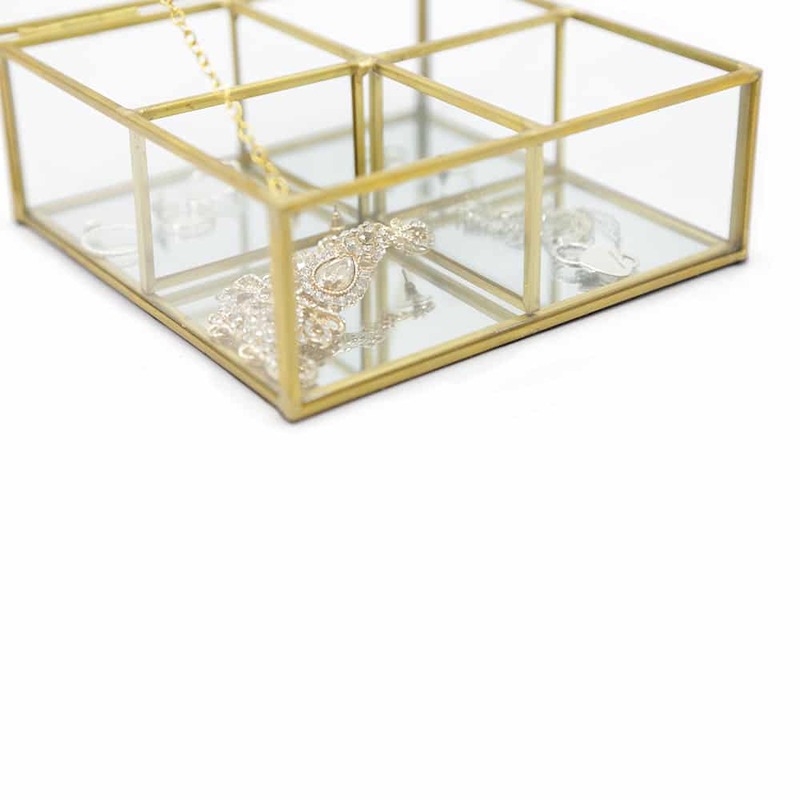 The glass also makes it easy to view and choice your favourite item.